This article was posted on 20th January 2017. This year, in the spirit of New Year's Resolutions we’re planning on using the FBC blog to get to know some of our favourite bloggers even better. Each month we’ll introduce a new blogging hero and delve a little more into their world, bringing you insider tips where we can find them. We adore your blog, tell us a bit more about how you started The Villa on Mount Pleasant and what inspired you? After Christmas in 2012, I stumbled across some beautiful Scandinavian blogs, full of gorgeous images of their homes. I loved how they had an online gallery, almost like an online magazine of their interiors with lots of beautifully styled vignettes. I tentatively decided to give it a try, and by New Year's day I had set up my blog up and posted my first pictures! We love the dreamy quality of your home and Instagram images. What are your top tips on making the most of your pieces / images for insta-perfection? And any styling advice for making the home insta-worthy? Take some time to style your pieces, rearrange them so that the composition looks pleasing to the eye, and get rid of any clutter or anything that detracts from your image. I think the number one thing that makes a huge difference to images on Instagram, is light. Natural light makes all the difference, so if you can set up your shot by a window, your image will look much better for it. Don't be afraid to have a tinker with your picture afterwards in a photo editing app to lighten, brighten, and add a little bit of contrast. What is on your home wish list right now? Oh my goodness, so many things! Top of my wish list is the Chablis & Roses sofa. A picture of it popped up on my Pinterest feed, and it was love at first sight. I also really fancy a chaise longue to go in the bay window in my bedroom, and a beautiful antique Aubusson rug. Pink Velvet Sofa, Chevron Hide Rug, Sheepskin Rug, Branching Out Side Table, Essence Chandelier, Large French Mirror, White and Pink French Bulldog and Golden Pineapples. The sense of identity and individuality in your home is fab, we know you’re a frequent carbooter, what are your tips for making the most of the car boot scene? Any other secret haunts where you can find a gem for your home? Car boot fairs are my most favourite places to hunt down treasures for my home. In order to get those treasures, you need to get there early, and don't be afraid to rummage in the boxes underneath the tables! House clearance vans are often a good place to find old crockery, fabrics and books. I also adore shopping in charity shops, and have recently found some beautiful pieces including fabric, china and vintage kitchen ware. 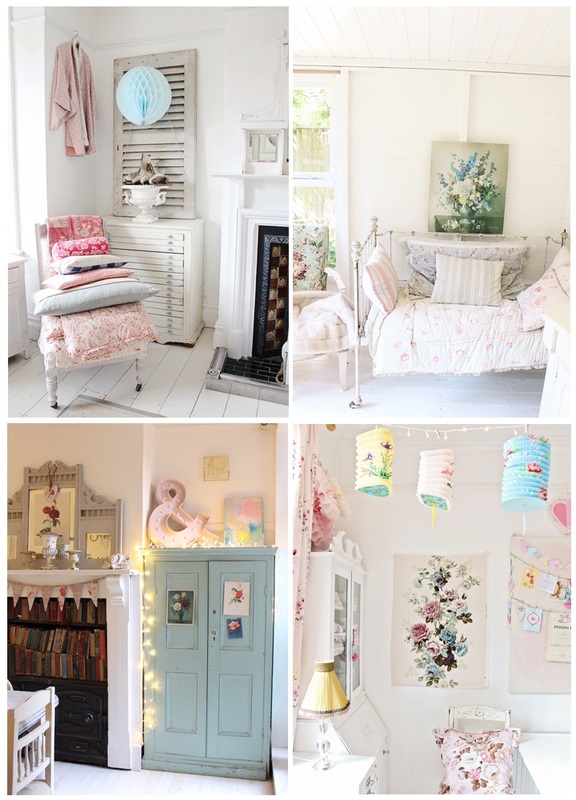 There’s a real English rose atmosphere to your home, are there any other cultures or countries that inspire your interior? I am deeply inspired by Scandinavian interiors, and love to bring a hint of that to my home - lots of white paint, white washed floorboards, with rustic touches here and there. Although I love lots of colour and collections of vintage treasures, I do try to keep that Scandinavian minimalism at the back of my mind, to stop it all looking too cluttered. What makes the perfect bedroom? And what do you miss the most about your own bedroom when you travel? I think the perfect bedroom needs a touch of luxury. A good mattress and gorgeous bed linen, and lots of velvet cushions. I live on a hill overlooking the city of Norwich, so I have the most beautiful view, and that's definitely something I miss when I'm away from home. What does a dream week look like for you? A dream week for me is split between working from home as a blogger and stylist, and working on location as an interior/prop stylist. When I work from home, I am writing and taking photographs - I love setting up little vignettes, and experimenting with my photography. I am always striving to learn more and improve as a photographer. In the summer I love to get out to the coast and photograph the beach huts. 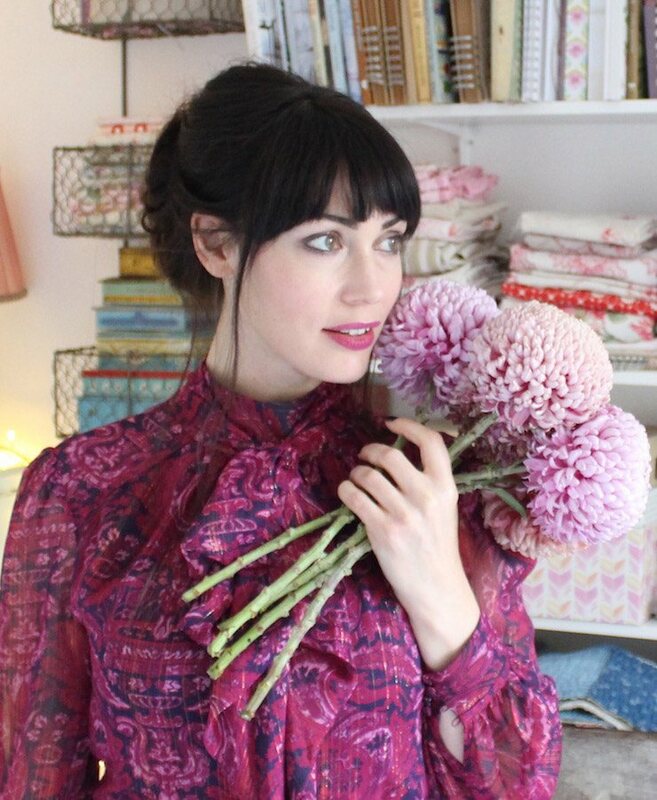 Huge congratulations for making the Shortlist on the Amara Blog Awards last year! What are your plans for 2017? Thank you so much! Plans for 2017 include really pushing my blog, photography and styling to the next level. I've only been freelance for a few months, so 2017 is the year I've got it to make it work! I'd also love to visit Paris in the spring, to photograph the blossom trees in their full glory. Best advice you’ve been given…? You don't have to do what everyone else is doing - be true to yourself. California - I'd love to travel along the coast and visit San Francisco to photograph the gorgeous pastel houses. That's difficult as I love them both, but it has to be tea! I am practically a professional tea drinker! A bit of both depending on my mood and the season! An All Saints biker jacket! We sent Tamsyn a few goodies from our accessory range with the challenge to style these up for us… The results do not disappoint! 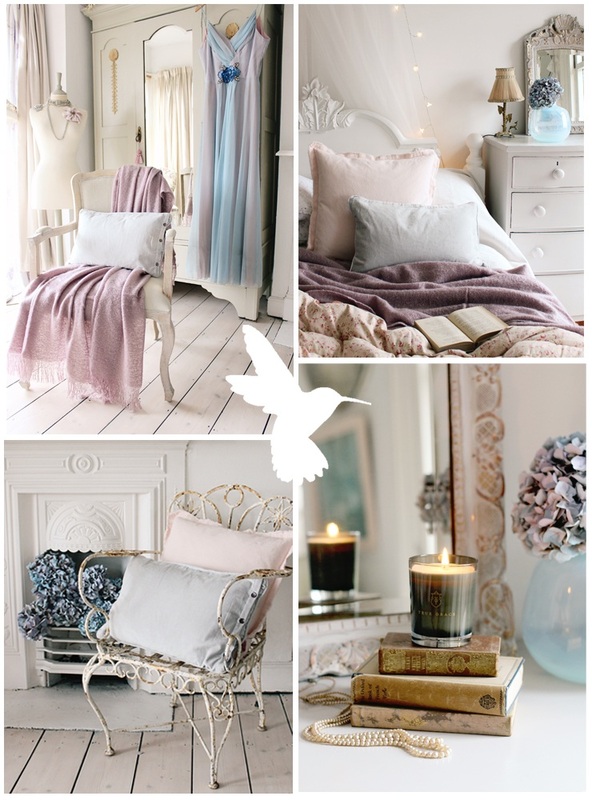 Bonaparte French Chair, Lilac Throw, Grey Velvet Cushion, Pink Linen Cushion and True Grace Candle. 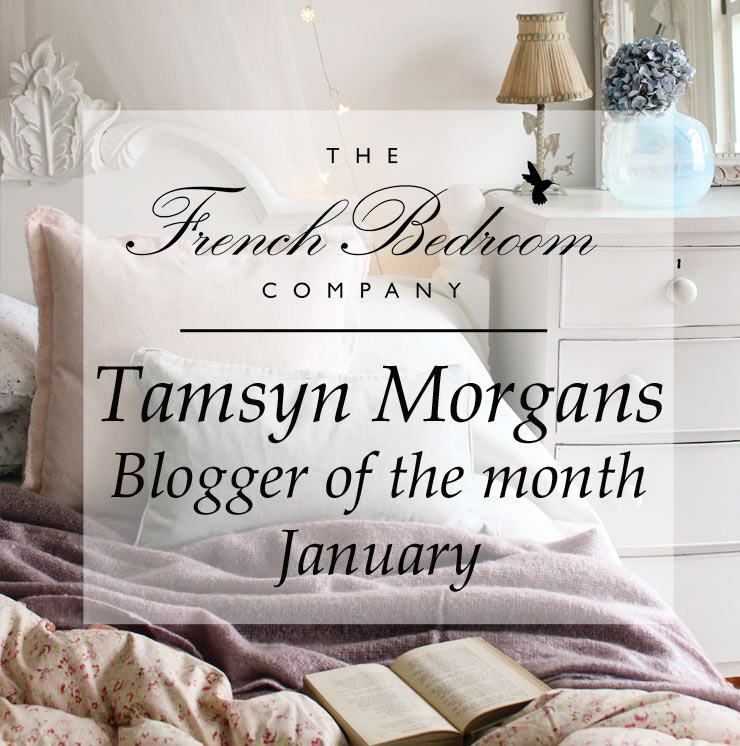 To see Tamsyn's style tips on her French Bedroom Company goodies, head to her latest blog post HERE.